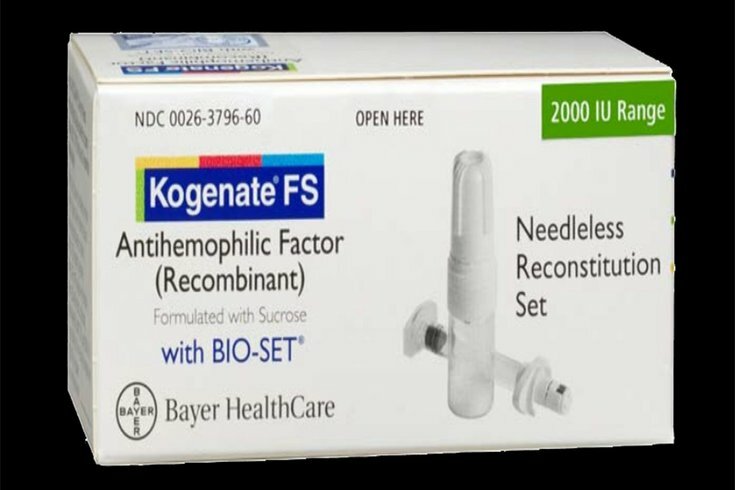 Kogenate is a recombinant factor drug made by Bayer used to treat hemophilia. Developed in the 1990s by cloning human clotting proteins in animal cells, companies charge a premium for the product. Ducore said he tells patients if he thinks they are being misled by drugmakers about what a product will do. “But even though the tactics may seem a little smarmy, if it’s the patient’s choice, you have to go with it,” said Ducore, who has been Landon’s doctor since the boy was born.